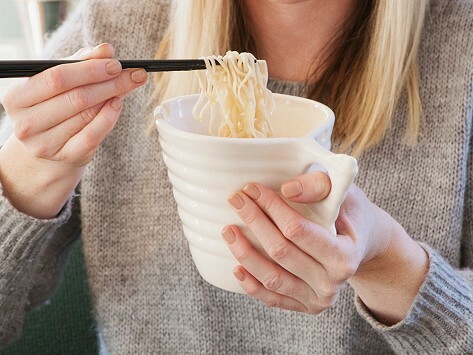 Oversized and handmade, the Udon Noodle Bowl fits comfortably in your hand, whether you're at the table or not. Inspired by Japanese design, it even has slots to rest your chopsticks between bites. 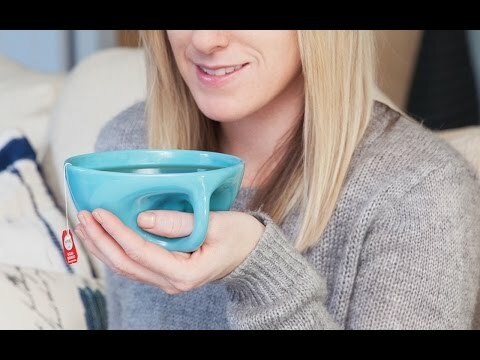 Ideal for stir-fries, noodles, and even meals you don’t need chopsticks for like soups, mac & cheese and more. Love this art bowl. It's so roomy for contents and makes eating fun. This was a gift. The recipient loves it and would not enjoy her ramen without it. I love the handle, perfect for left-handers. Such a relaxing way to eat noodles while watching TV.